I’m new to the blogging scene…..wanting to share some of my writing. Here I am, age 66, with 2 grown sons and one granddaughter, retired missionary/teacher/local councilwoman. I lost my husband in 2006, after 25 years of marriage. His heart just burst one day while sitting in his chair at home. He was there one minute and gone the next. Some of my poems are about him. I miss him dearly, but life goes on. I’ve learned to treasure the moments. When I write, I try to share my faith, to bring a taste of the comfort of God and His strength into someone’s day, to make someone think, smile, and maybe even laugh out loud! PPS. You will notice a few (4 right now) “sticky” posts at the top of my blog page, which don’t change. If you have read those already, just scroll down the page a bit for the most recent entries, which are updated fairly frequently…thanks! Oh, and don’t forget to sign in on the Guestbook page right at the top! You will very likely enjoy my friend Susans blog! Here is a link to her. Go pay her a visit, she is a LOVELY lady with lots of passion. It’s nice to meet you! I’m getting started myself. I found you through the Harsh Reality meet-and-greet. Nice to see another Jesus follower there. My blog is a hilarious look at large family life. Pop by and see us sometime. 🙂 I will be doing some looking through your posts. Hi and welcome (I’m still quite new to it as well). Thanks for following nutsrok. I am new too, since August. Love to start with new kids. We’ll play together. Ann, I’m glad you found my blog — and I’m glad I found yours! You will absolutely enjoy blogging, and you’ll meet lots of nice people in the blogosphere — a whole new world of them! I’m very sorry about your husband; I look forward to reading your poems about him. Thank you so much for visiting Beyond the Flow and touching base. It’s funny because very quickly, I could sense your warmth and beautiful heart, which is an odd thing just reading a few posts on a blog. I am so sorry to hear about your husband. It must have been such a shock and an incredible loss I can not fathom. I have been seriously ill for a number of years and we’ve had some close calls but I’m still here. My grandfather was a Lutheran Pastor and our family is Christian and attend an AOG Church. You might have heard of Darlene Zschech she and her husband are our senior pastors. She was a songwriter at Hillsong. I think she wrote “The POwer of Your Love”. I’m not so into that side of things and more of a small Church person but my husband and kids love all that. I tend to feel closest to God in nature and by the water. It can also be difficult for me to get to Church, particularly in Winter when I have to avoid germs and get quite ill myself. I don’t express my Christianity is an open way on my blog because that doesn’t go down well in Australia and there are others who take that front line role. I position myself somewhere closer to the back row but that’s also where seekers start out. Anyway, like when you visited my blog, I’ve written quite a story. I'm a small church person myself and know what you mean about the quiet places in nature. This times are when I feel closest to God and hear His words to me in that stillness. Sad that you are sick and that you don't feel full freedom to express your faith. It's what I like to do and try to do, in some regular blogs and in the Devotionals and Poems sections here. Your comment went into spam and I just found it when going through that folder…. Sorry about that. I usually respond fairly quickly…. Pingback: Infinity Dreams Award Round Three! | blabberwockying! Must have been a real shock regarding your husband, but for those who know Christ, we take comfort in their new residence of our departed loved ones. It was a terrible shock. I knew intellectually what you said there but experientially there was very little comfort for me in the finality of the separation. It made me question God somewhat, though my faith was what got me through. Understanding that God had not let me down or left me alone took a while and was revealed to me bit by bit in the midst of all the sorrow at the unexpected loss. I see now God’s plan for me, but I could not begin to see it at that time. Hello from Marathon, Florida (in the winter). I am also 66 and have two grown children, and two. grandson aged 4 and 2. I guess mine is a lifestyle blog, just whatever is on my mind that day. Travel in our motorhome in the summer. I am looking forward to reading your blog! First, so sorry for the loss of your husband. Even with faith it is devastating, in fact, I have a hard time with people who seem to think we shouldn’t struggle with the finality of death because of our faith. If nothing else, it leaves a very practical void in your life. ANYWAY, didn’t intend to get started with that! Meant to say, love the picture of your little…critter…in the upper left corner. 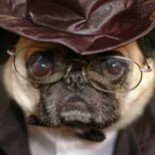 I assume that’s your pup, but it looks just like a man I work with, hat, glasses and all. What exactly is a lifestyle link? Just wondering…..
Hi Ann, I love the concept of faith plus laughter. My husband is a Presbyterian minister who loves to use humor as a way of sharing faith. I created my own “ministry” in what I saw as a calling to be a social worker and humor was what enabled me to work in tough areas like child abuse and domestic violence. My blog shares some of my insights from my life and my work…and my new attempts at getting a book i’ve written published. So sorry about the sudden loss of your husband. That is such a tough way to lose someone, no preparation, no idea that death was about to come and call, no chance for one last conversation or goodbye. I’m glad you are moving on and blogging, reaching out to others is the best recovery. You mentioned liking pictures, let me recommend: http://www.Pixabay.com You can search on almost any topic and find picture…all free! Easy to download and use. So glad to meet you on Bernadette’s Senior Salon! Don't forget to "sign" my guestbook and leave people a link to your own blog page! My goodness, so this is an anniversary. It must be bittersweet. I hope it brings loving memories that bring comfort! Yes, I might do a bit of a post later, a kind of a snapshot thing using photos. Hello and thank you for the like and the visit..
Will you leave a link here to your blog for others? How do I do that????? I would love toooo..
BY chance do you know how to set it up where it will post with out me doing that??? I did read a blog that said check yours here to see if your address shows up and it did at the time and now it doesn’t ???? No, sorry. I just keep my address on a note app and copy and paste it all the time from there……maybe someone else in here can answer the question though? If you don’t know your blog page address, there is another way you can help others connect to you. When you are on one of your blog pages that you would like to share with people here, look in your browser address bar and select and copy the address to that post, which you can then paste into a comment here…. FOR ALL THE NEWBIES: Welcome to the blogging community. I got here through a comment annj49 left on another site, after WordPress notified me that she had “liked” one of my comments — so it’s worth taking the time to figure out how to do what I suggest below. To automatically add your site and a photo when you comment, search for Gravatar, sign up and set up a profile (I think you can do that through your back end site-management dashboard too). Click around – things are fairly straightforward and you can back out of anything you decide not to do once you investigate. You’re most welcome. It takes a bit of time for most new bloggers to figure things out, but you’ll usually find somebody in the busy blogging community who has the time to help you find your way. I love the community spirit. 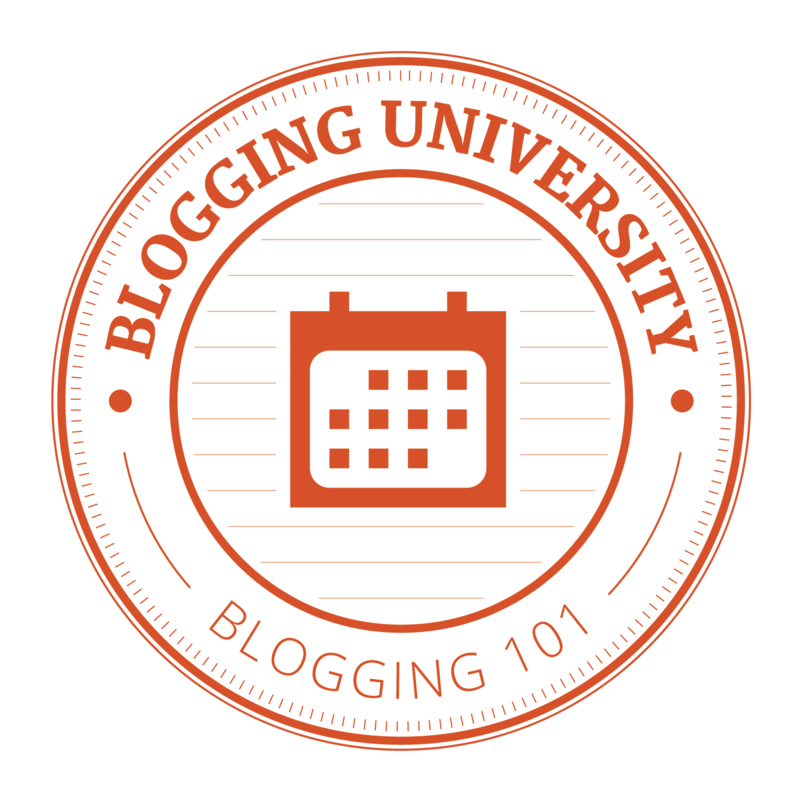 Your Blogging-101 course seems to have helped you quite a bit. You don’t play like a newbie, so I wouldn’t have known if I hadn’t read this post. Hehe, I don’t know how newbies “play” but thanks so much for the encouragement! Well, I don’t know for sure, but I certainly know that I made a great many silly “mistakes” my first year that I no longer make after five. A great many newbies seem to believe something like, “if they write it folks will come” – and don’t venture off their own sites and leave breadcrumbs. Not only is it frustrating for them that few people are “coming,” they are missing what I believe is the best part: the community aspect. OM’s site is very welcoming – I follow him too. I learned all of what I know about linking to other blogs from OM, who came to my site early on. I joined his Meet and Greet and that was VERY helpful in getting me going. His site is so full of great blogging tips. I recommend reading him to anyone starting out…. I spent about three months uploading to my site and waiting for people to come. I had no idea how to network until I met OM. He has been a godsend to many – not just for new bloggers. Are you aware of what he had to overcome to remain in play? Apparently some overzealous WordPress automation code identified his site as spam because of his many follows and shut him down with no means of redress. That was quick! You’re a doll.